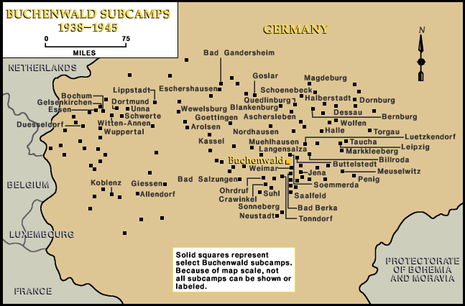 On April 4, 1945, the U.S. 89th Infantry Division overran Ohrdruf, a subcamp of the Buchenwald. 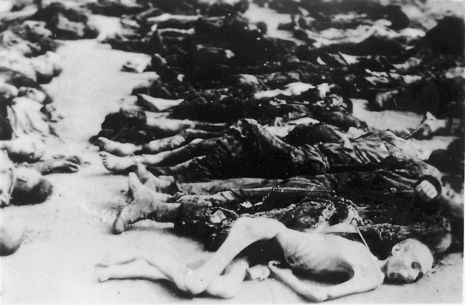 It was the first Nazi camp liberated by U.S. troops. 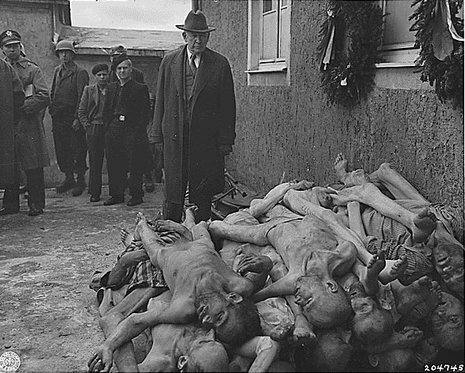 Buchenwald was partially evacuated by the Germans on April 8, 1945. In the days before the arrival of the American army, thousands of the prisoners were forced to join the evacuation marches. The text was repeated four times, each time in English, German and Russian. After 15 minutes the headquarters of the US Third Army answered and promised help as quickly as they could send it. After this news had been received, Communist inmates stormed the watchtowers and killed the remaining guards using arms they had been collecting since 1942 (one machine gun and 91 rifles). A detachment of troops belonging to the US 9th Armored Infantry Battalion, U.S. 6th Armored Division, US Third Army arrived at Buchenwald on April 11, 1945 under the leadership of Captain Frederic Keffer. The soldiers were given a hero's welcome, with the emaciated survivors finding the strength to toss some liberators into the air in celebration. 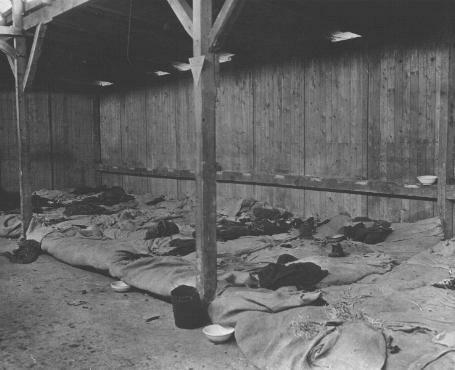 Later on in day elements of the U.S. 83rd Infantry Division overran Langenstein, one of a number of smaller camps comprising the Buchenwald complex. 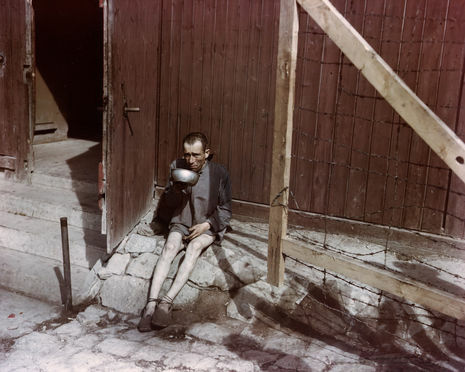 There the division liberated over 21,000 prisoners, ordered the mayor of Langenstein to send food and water to the camp, and sped medical supplies forward from the 20th Field Hospital. 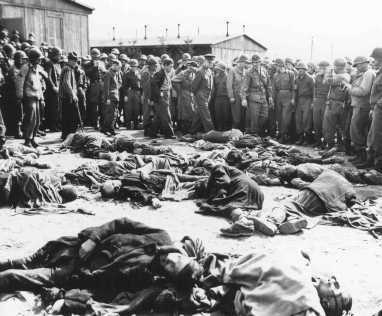 When the soldiers of the 4th Armored Division entered the camp, they discovered piles of bodies, some covered with lime, and others partially incinerated on pyres. The ghastly nature of their discovery led General Dwight D. Eisenhower, Supreme Commander of the Allied Forces in Europe, to visit the camp on April 12, with Generals George S. Patton and Omar Bradley.